Kafue Gorge Lower (KGL) hydropower station will have an installed capacity of 750MW. Image: courtesy of Zambia National Broadcasting Corporation. Construction of the KGL power plant began in November 2015. Image: courtesy of Zambia National Broadcasting Corporation. The hydroelectric power plant is being constructed on the Kafue River, a tributary of the Zambezi river. Image: courtesy of Paulmaz. The Republic of Zambia government initiated the construction of the 750MW Kafue Gorge Lower (KGL) hydroelectric power station on the Kafue River in the southern Chikankata district, 90km away from the Lusaka, the capital and largest city of Zambia, in November 2015. Claimed to be the third biggest hydropower station in the country on its completion, KGL is Zambia’s first major investment being funded through public-private partnership (PPP) model. The Government of Zambia has appointed state-owned power producer ZESCO for the development of the project. The plant is scheduled for commissioning in 2019. The project will address the growing demand for electricity in the country and surrounding regions and will alleviate the power deficit, thus supporting continued economic progress. The new power plant on the Kafue River, a primary tributary of the Zambezi river on the left bank, will be located 55km upstream of the confluence of the two rivers and 17.3km downstream of the existing Kafue Gorge Upper (KGU) hydropower station dam site along the river. It will be 5.9km away from the KGU water outlet. The project includes the construction of a 140m-high concrete-face rock fill dam (CFRD) with a crest width between 8m and 10m and a length of approximately 378m. A surface powerhouse with a width of 44.5m, height of 58m and length of 127m, and housing five 150MW generator units, will be constructed. The power station will have an environmental release outlet channel, a spillway on the left bank with an overall width of 64m and maximum discharge capacity of 6,210m³/s. The right bank will have a flood release tunnel with a maximum capacity of 1,018m³/s and a 4.4km-long power tunnel. The dam will also have a floodgate with five 400m-long penstocks. The left bank will feature a 980m-long diversion tunnel with a horse-shoe cross section of 10mx14m. The power transmission infrastructure at the hydroelectric station will include a 300V switchyard with a provision for two outgoing transmission lines to a new and existing 330 / 132kV substation. 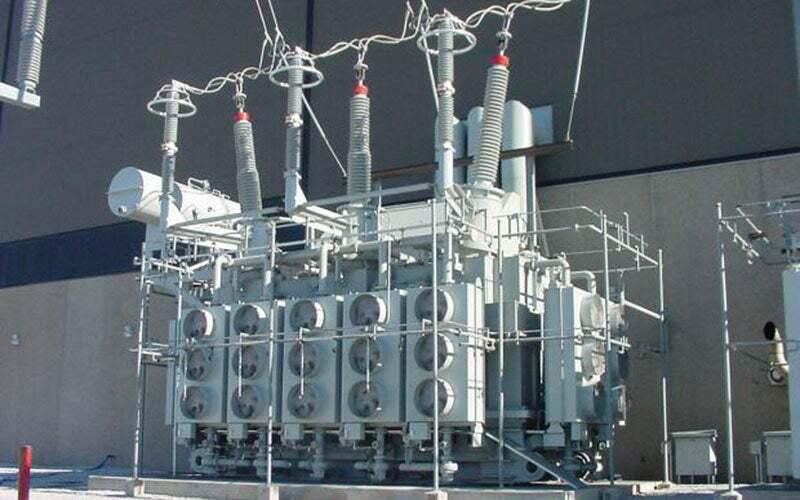 The switchyard will also have a provision for one short interconnector to the existing KGU power station and five incoming feeder bays. The total cost of the project is estimated at $2bn, which includes engineering, procurement and construction costs of $1.58bn, financing costs of $43m, insurance cost of $100m, and capitalised interest of $312m. The project is being financed by the Zambian government and foreign financial institutions including the Exim Bank of China. The government allocated an initial investment of $186m for the project. The engineering, procurement and construction (EPC) contract for the project was awarded to Sinohydro Corporation, a Chinese company, in October 2015. CPCS Transcom was appointed as the lead advisor to provide all transaction advisory services for the project. Zambia currently has an installed capacity of 1,948MW although it has a potential to produce approximately 6,000MW of hydro power. Just 25% of the country’s population has access to electricity, while less than 5% of the rural areas are electrified. Considering the impact created by the electricity on socio-economic development of the region, the Government of Zambia has been promoting investments in power infrastructure. KGL power station is one of the projects proposed by the Zambian government to address the power deficit and ensure reliable and secure power supply in the country. Despite the country’s rapid economic growth during the last five years, power supply and generation have remained stagnant over the past three decades, leading to a power deficit. Power demand is steadily rising at a rate of up to 5% over the past few years and currently stands at 1,850MW. It is estimated to exceed 2,500MW in 2015 and lead to a supply deficit by 2017. BHT Electric-Control-Mechanic GmbH has more than 30 years' experience as a multi-service provider in manufacturing and engineering high-quality parts such as turbine components, electrical and control modules, analog and digital boards, as well as instrumentation devices for fossil power generation, petrochemicals, oil and gas, cement and steel industries worldwide.